Conor graduated from Northeastern University with a B.S. in Rehabilitation Sciences in 2016 and a Doctorate in Physical Therapy in 2017 with a double minor in Psychology and Exercise Science. 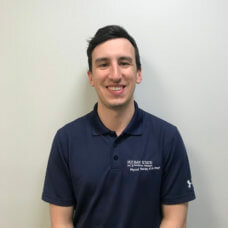 Conor completed his second clinical affiliation with Bay State Physical Therapy in the Fall of 2016 and returned to Bay State in May of 2017. Conor’s clinical experience has ranged orthopedic conditions in an outpatient setting to neurological conditions such as stroke, traumatic brain injuries and Parkinson’s Disease. Conor prioritizes a hands-on approach with manual therapy techniques in combination with therapeutic exercise to help people return to the things they love. Conor’s experience as a collegiate varsity and club level runner lead to a passion for distance running. Conor has completed two marathons including the Boston Marathon in 2016. In his free time, Conor enjoys skiing, playing hockey and assisting with his former high school’s Track & Field Teams.